When a family member dies, you’re faced with making funeral arrangements during the height of grief. 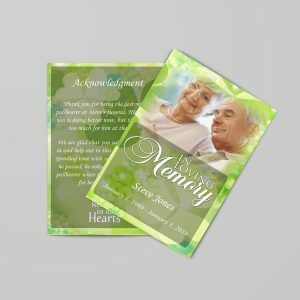 Planning a funeral involves making decisions you probably never considered prior to the death – what to write in the obituary; whether to have a memorial service; whether to choose burial or cremation, and what type of casket or urn to choose. To help protect yourself, learn how to avoid common funeral scams, and what you can do if you feel you’ve been a victim. Most of the time the funeral home isn’t out to scam consumers; instead, there’s simply a misunderstanding between what the consumer thought he would receive versus what the funeral home thought it was supposed to provide. Other times, they are trying to convince you to pay for a good or service they won’t ultimately deliver. The FTC’s Funeral Rule requires all funeral providers to give customers an itemized general price list of their goods and services at the first, face-to-face meeting, or when the customer asks for it. The itemized list ensures that you know all of the available products and services and their costs. The funeral home must also provide you with an itemized list of the cost of all caskets and outer burial containers it offers. Frank Dorman of the Federal Trade Commission’s (FTC) office of public affairs says that the funeral home can provide this information in one of several ways, says. It can give consumers one general price list. The funeral home can also give separate lists for goods and services, and caskets and outer burial containers. The funeral home may give you a list that includes a range of casket prices and outer burial containers, provided that the list includes a disclosure that a full casket price list is available. If you are not offered an itemized list at the first face-to-face meeting, ask for one. If the funeral home refuses, or claims they don’t have one, find a new funeral home. Funeral industry studies show that the majority of people shopping for a casket purchase one of the first three models they are shown. It is therefore to the funeral director’s advantage to show family members the most expensive caskets first. To avoid spending too much on a casket, let the funeral director know your budget, and ask to be shown caskets within that price range. If the funeral home doesn’t have the casket you want on hand, it can easily be ordered in time for the funeral. Nobody wants to think of their loved one’s body decomposing after the burial. Some funeral homes prey on this by convincing you to purchase a sealed casket, which they claim will delay or completely avoid decomposition. These caskets include a gasket, which typically cost the funeral home between $12 – $20, but can add hundreds of dollars to the cost of your casket. However, studies have shown that not only do sealed caskets not stop decomposition, they can actually cause the caskets to explode. In fact, the FTC’s funeral rule expressly prohibits funeral homes from claiming that a sealed casket will stop deterioration. 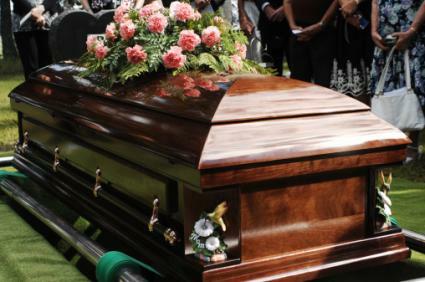 Sealed caskets do prevent water from seeping in to the casket for the time specified in the casket’s manufacturer warranty, but they cannot stop decomposition indefinitely. So purchase one if it gives you a measure of comfort, but do so knowing that it can’t prevent decomposition forever. 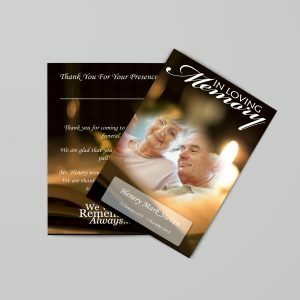 Sometimes, a funeral home may try to convince you that you must purchase a service that is not required. For example, funeral home staff may insist that the deceased be embalmed, even though in most cases embalming is not legally required. 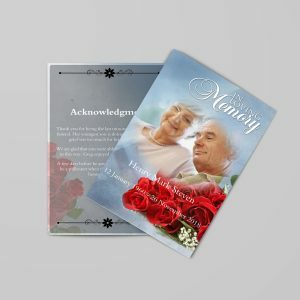 Another tactic is when staff at a funeral home insist that in order to receive a desired service, you must purchase an undesired one – for example, requiring that you purchase memorial cards if you hold a memorial service. To protect yourself, do not agree to purchase any goods or services that you do not want. If the funeral home insists, ask them to provide you a copy of the law that requires you to purchase the offered good or service. If they refuse, take your business elsewhere. You are not required to purchase a casket from the funeral home in order for the home to take care of your loved one’s remains. The funeral home may also not charge you additional fees if you do purchase a casket from a third-party. However, funeral homes may offer discounts on goods and services to those who purchase caskets from them, and are under no legal obligation to offer those same discounts to individuals who purchase a casket from a third-party. If the funeral home insists that you must purchase a casket from them, or indicates that it will charge you a higher price for its services if the casket comes from a third-party, take your business elsewhere. It seems like a good idea in theory – the funeral and all associated products are paid ahead of time, thus eliminating the need for your loved ones to plan and pay for a funeral. However, pre-paid funerals aren’t necessarily as wonderful as they seem to be. There is no guarantee that your wishes will be carried out, or that the goods you ordered will arrive. There may also be additional costs later. For example, flowers and music may not be included in the prepaid cost. In addition, getting out of these contracts can also be difficult. If the funeral home that received prepayment goes out of business or relocates – or if the deceased relocated – you may be unable to get your money back. If funeral providers try to prey on your emotions, you need somebody who can take the emotion out of the situation. When meeting with a funeral provider, bring along a friend who had little to no ties to the deceased. They won’t be as emotionally vulnerable as you, so they will be better able to spot a scam, and help you stick to your family’s wishes. Some people preplan down to the type of flowers and music they want played. To make sure the surviving family is not burdened with funeral costs, some also purchase burial insurance to cover the costs, as they do not need to be paid in advance. The NFDA created a Bill of Rightsfor Funeral Preplanning, which outlines how a funeral home should treat you when preplanning your funeral. Do keep in mind that if you fail to inform your loved ones that you’ve already made funeral arrangements, they could make their own arrangements at your death, which would result in your wishes not being fulfilled. Preplanning your funeral also does not take into consideration the fact that funerals are usually for the bereaved, and forcing them to abide by your wishes could increase their grief. While “chain” funeral homes do exist, Arrington said 80% of funeral homes are locally owned and operated, whether by a family or an individual. Where local funeral homes have an edge, he said, is their approach. As community members, they tend to be more service oriented. Because they serve as their own boss, and don’t have to report to a national office, they’re generally more flexible, which means you may have a better chance of negotiating prices, he added. If you’ve been the subject of a funeral scam, or believe that a funeral home is attempting to take advantage of customers, you should file a complaint with the appropriate organization. For violations of the Funeral Rule, contact the FTC. For other scams, contact your state Attorney’s General Office; the Funeral Consumer’s Alliance provides downloadable pamphlets that discuss your rights as a consumer in all 50 states and the District of Columbia. You should also file complaints with the NFDA and the local Better Business Bureau. These organizations can take action against the funeral home, and also let the public know what homes should be avoided. The vast majority of those who provide funeral services are honest people who, though in business for profit, aren’t trying to pad their pockets at your expense. Instead, they are genuinely trying to help make the process of arranging a funeral as easy as possible so as not to cause you further grief. However, there are unscrupulous providers who will not only attempt to take advantage of your vulnerability, but also outright lie and steal from you. But by knowing what to look for ahead of time and going in with a clear idea of what you do and do not want in a funeral service, you can ensure that you will be treated fairly and with dignity during the process.